Velvet ribbons are probably one of the leaders in the ribbon world. Way ahead of regular ribbon. 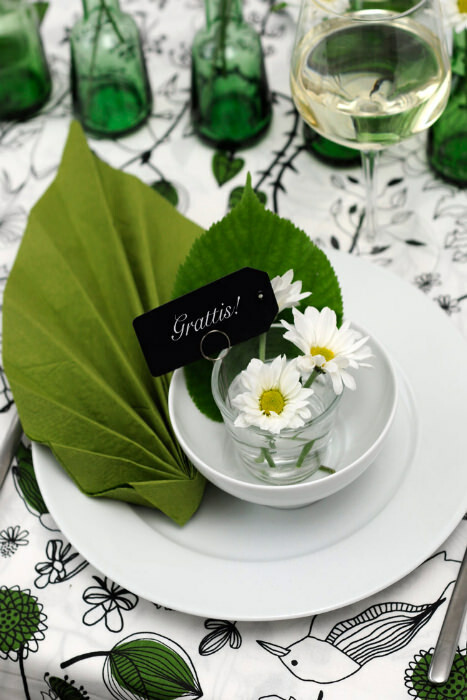 Using it in your napkin decor will add texture and color to a plain napkin. A vibrant color that complements your floral arrangements will look great. Bows are one of the best decorations to use when a dose of pretty is required. 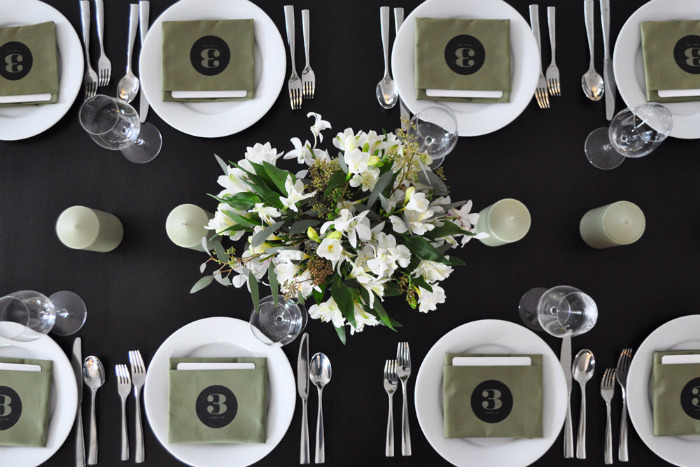 A napkin folded into a bow looks stunning, especially in black to make the look less severe. 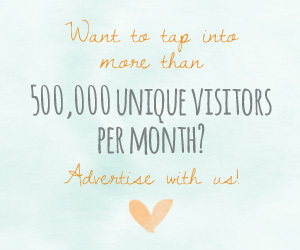 We’re a little obsessed with polka dots. 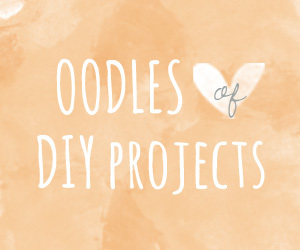 Is there anything that doesn’t look good with a polka dot application? They look rather lovely on napkins, especially when there are flowers neatly tucked into it. 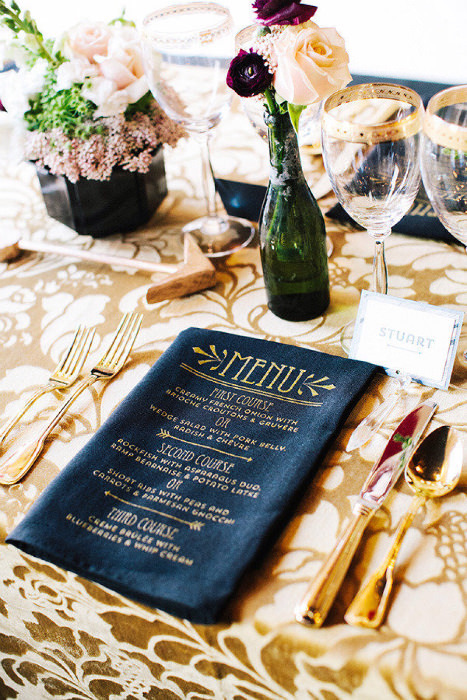 Printed napkins are the epitome of double duty. 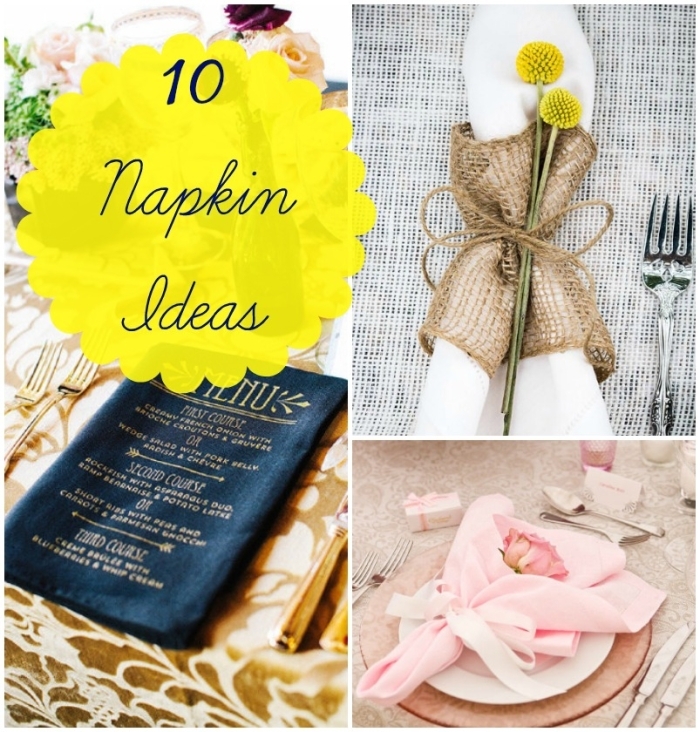 These napkins are also table numbers, so you can print the same number onto each napkin at the table. 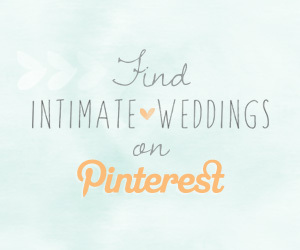 It saves you having to think of an additional table number idea and you can focus more on the centerpieces. Another printed napkin idea is a menu. Printing your menu onto your napkins not only saves paper and space but is a nice keepsake of the day (when cleaned!). 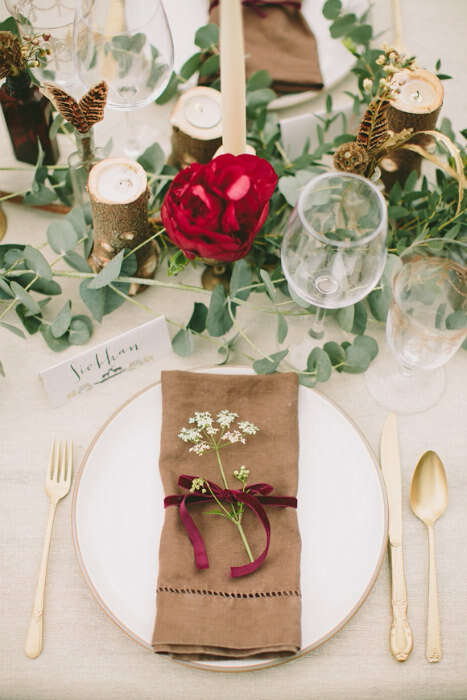 Fold a green napkin into the shape of a leaf for a nature inspired wedding. Combine this with a few flowers and leaves as a tribute to the outdoors. Use a rose as the centerpiece of your napkin and create a delicate shape around it to give the illusion of a blossoming flower. 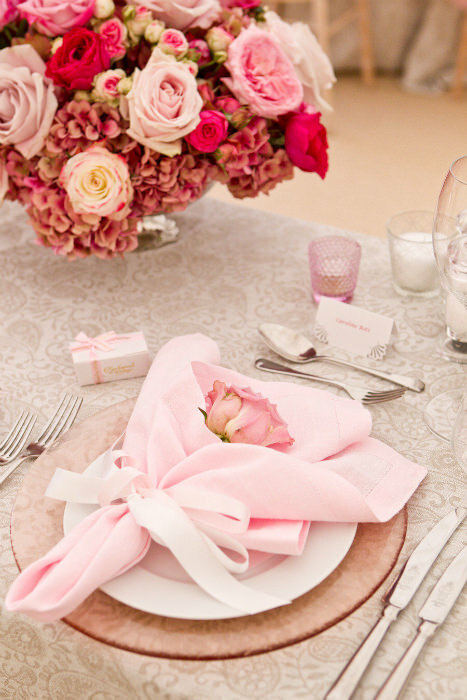 This is a feminine napkin idea for a pink wedding. 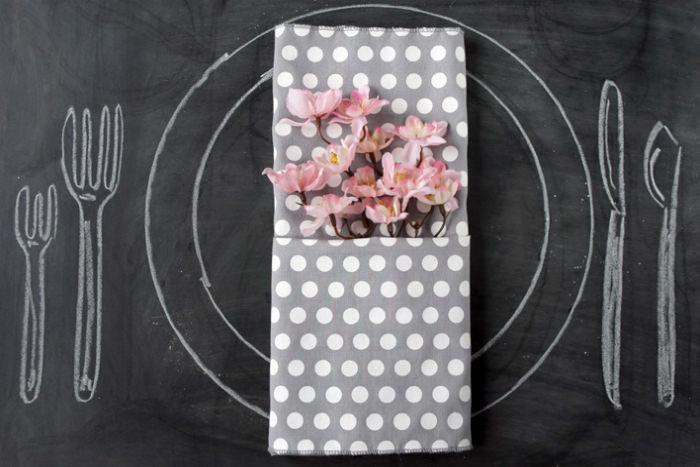 It might be time to search for some etiquette books and read up on the art of napkin folding. 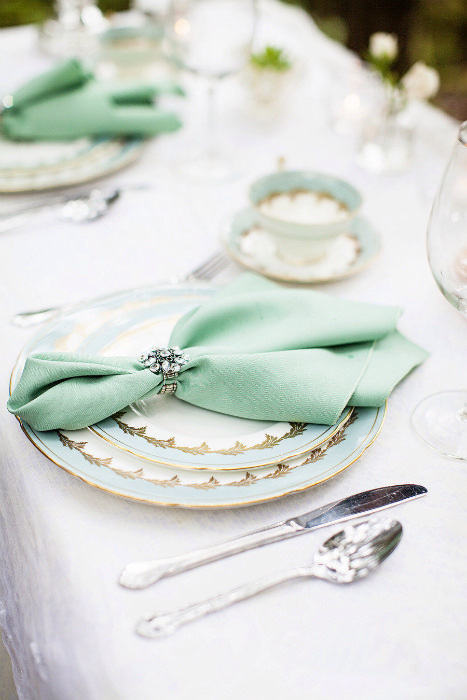 Elegant folds tucked into a jeweled napkin holder give a polished finish to table settings. 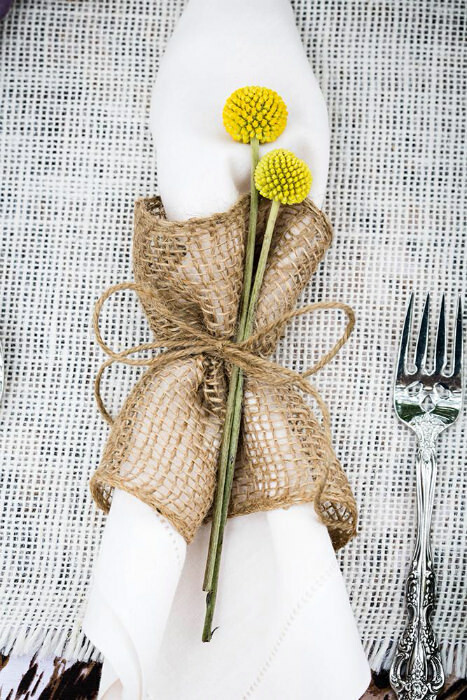 Wrapping a stiff white napkin in burlap or netting gives it a rustic look and lessens the formality. 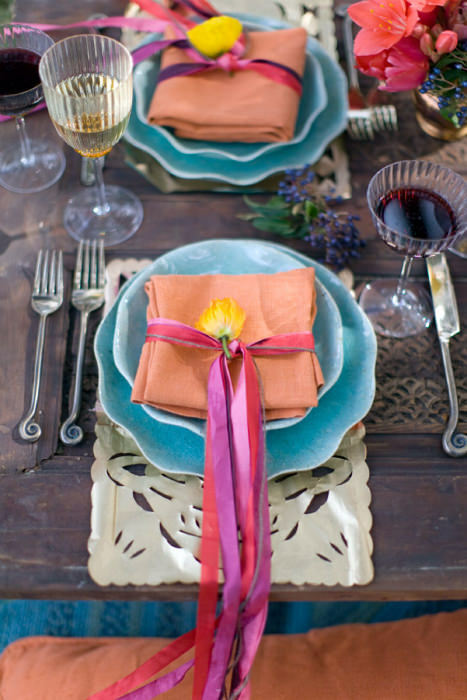 For a colorful decoration to your table, tie your napkins with multiple strands of ribbon. 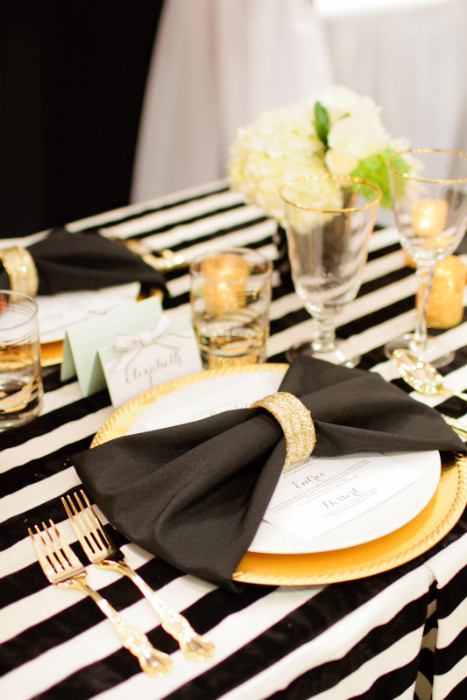 Having the ribbon in a longer length that drapes from the table adds some drama.